Did you ever forget about an old savings account and wondered where that money went? Millions of people have forgotten accounts or didn’t realize they had walked away from some fund of money they were entitled to. When money lies dormant in a deposit account or appears to be abandoned, the bank or other organizations with which the money was deposited aren’t necessarily allowed to just keep that money for their own use. After a period of time, they’re required to turn it over to the state. This is called escheatment. Once it's turned over to the state for safekeeping, the owner of the money can still access it by making a proper claim for it. What Funds Are Subject to Escheat Rules? It’s not only money in deposit accounts that will be escheated. If you forget to cash a check, that money can be escheated. Likewise, if you don’t claim your wages, that money can also be escheated. *If it's a federal tax refund, it won't be escheated to the state. Be mindful also that you only have three years to claim a federal tax refund. When Are the Funds Turned Over to the State? The amount of time that passes before the account will be turned over depends on the state. Each state has different periods of time and other requirements for escheatment. The amount of time also depends on the type of money or account that’s being escheated. Bank accounts, checks, and wages may be subject to different periods. This chart shows the state and the amount of time after which the bank or another payor will turn the money over to the state. *Check out state law for additional requirements. Banks often charge fees before they turn the money over to the state. 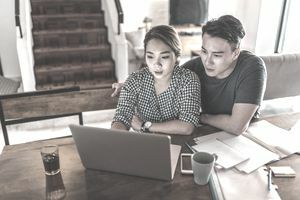 Some charge monthly service fees, like you’re probably familiar with on your checking account, although many banks charge a smaller fee once they determine that the account is dormant or inactive and the balance is small. However, some charge a special escheat fee before the money goes to the state. Start by searching on a public database like Unclaimed.org or MissingMoney.com. These sites can link you to the unclaimed-funds sites for each state, and from there you can search for funds that you might be able to claim. Or, run a search for "unclaimed property in [your state]." If your property is turned over to the state, the state will have a claims process you must undertake to verify that you’re entitled to the money before it will be released to you. Some require special forms, some allow you to claim online, some require special documents or identification.